Cusco region and its many attractions draw 2,624,969 domestic and foreign tourists last year, a 5.48% increase over 2013, according to a report released by Cusco’s Regional Directorate of Foreign Trade and Tourism (Dircetur). This figure included 1,634,200 foreigners, mainly from the United States, England, Germany, Brazil, Argentina and Chile, as well as 990,769 domestic visitors from different parts of the country. Dircetur’s head Luis Angel Aragon told Andina news agency the tourist arrivals target has been achieved. He also said the archaeological park was the major destination in Cusco and Peru as it saw 90% of arrivals. The second most popular site was the Sacred Valley of the Incas, which is home of the Ollantaytambo, Pisac, Moray and Chinchero archeological sites. 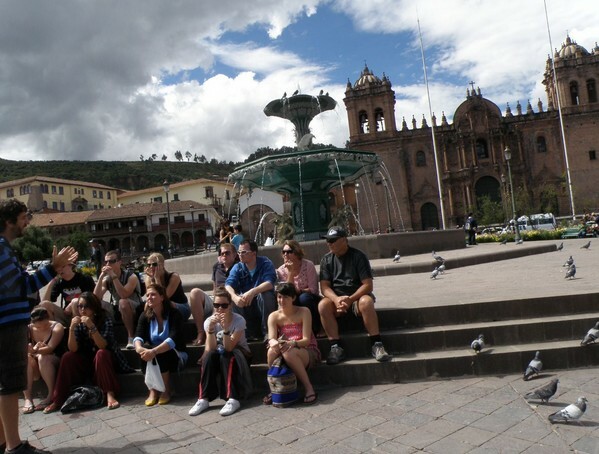 Cusco city is very famous among tourists as well. Many of them find themselves amazed by its energy while taking the ‘city tour’ to go sightseeing in the area.